Léon Theremin (1896-1993), born Lev Sergeyevich Termen in Saint Petersburg, Russia, was the inventor of the elegant and expressive theremin, the instrument Bob Moog started building and studying when he was 14 years old. It became the basis for Bob’s work in musical synthesis. While August 15 is the date most commonly celebrated as Theremin’s birthday, there is also a Gregorian date for his birth, a sort of second birthday. The original western calendar (a revision of the Roman calendar) is known as the Julian Calendar, named for Julius Caesar who initiated it. It was in use until 1582, when changes that had been proposed by Pope Gregory the XIII were instituted. There were several reasons for this, the most immediately evident being the fact that the method used to calculate leap years was flawed, and caused the calendar to drift out of sync with the solar year that reflected the actual rotation of the earth around the sun. This drift eventually caused the date of Easter to move out of sync with the preferred dates of the Catholic Church, and it also eventually caused the vernal equinox to occur on March 10 instead of March 21–11 days off. To correct this, in 1582 11 days were dropped (to return the March 10 equinox date back to March 21). So, people living through those days jumped from one day to the next to a date numbered 11 digits higher. Catholic countries initially adopted the new Gregorian calendar in 1582, but due to the religious connection to Easter, Protestant and Eastern Orthodox countries were much slower to change to the new system, and continued to use the old Julian calendar (in some cases for several more centuries). During this time, the drift between the two calendar systems only increased, as the Julian calendar became more and more out of sync with the solar year. As a result, 12 days were eventually needed to bridge the gap, and by 1900, the Julian calendar was 13 days out of sync with the solar year. One of the last countries to make the switch was Russia, and the change came just after the Russian Revolution. In January 1918, Russia adopted the Gregorian calendar, and 13 days were suddenly dropped, propelling people into an early February that year. 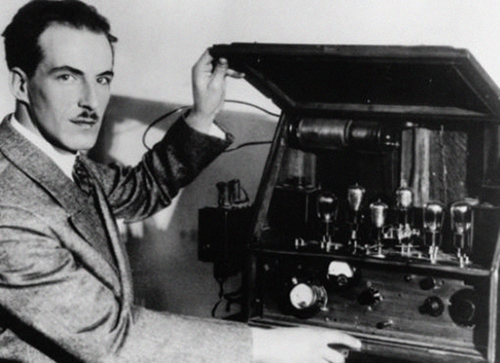 Lev Theremin was born on August 15, 1896, in the Julian calendar as Russia was using in 1896. After January 1918, Levs birthday was bumped up to August 28 (an increase of 13 days). So, technically speaking, August 15th was indeed his birthday, but in solar terms, we could say that it really had always been August 28th. Which birthday should be celebrated as the authentic date? I think it depends on your point of view. If youre thinking in terms of public records, birth certificates, etc., then it should probably be the 15th. If youre speaking in modern terms, then probably the 28th. Youll notice that I used August 15th in my book, as that was the original, recorded date. To hear a tribute to Leon Theremin in Bob’s own words, watch this short video created to honor Theremin’s birthday anniversary last August.